Sams Lake is located on Old Senoia Rd, south of Fayetteville. The 56-acre site was originally a drained lake bed but is slowly reverting to a natural meadow. The land was donated to the Trust by the Ferrol and Helen Sams family of Fayetteville. 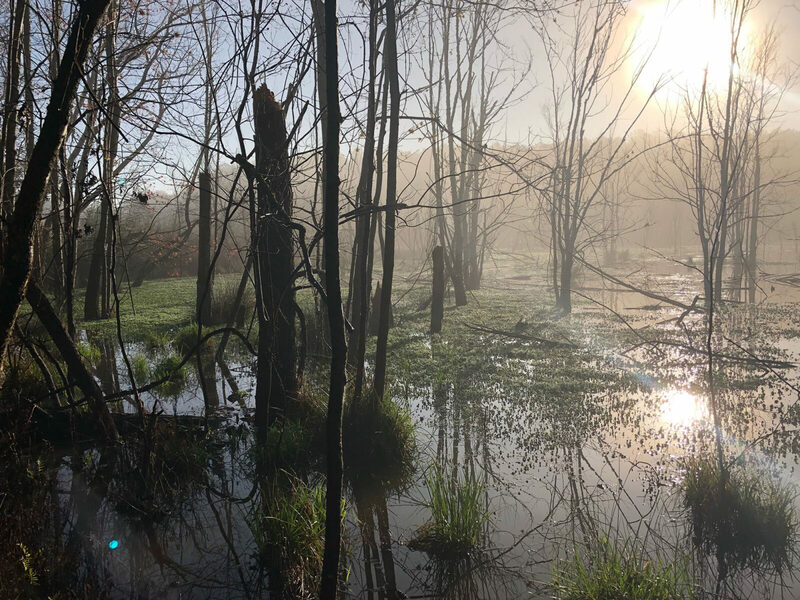 In 2001, the City of Atlanta agreed to restore a wetland habitat at the site as required mitigation for the wetlands disturbed by construction of the fifth runway at Atlanta’s Hartsfield-Jackson Airport. Along with the initial water control structures, a large portion of the property was dammed by beavers! This beaver dam created a large lake and wetland that provides ample habitat for numerous wildlife species. 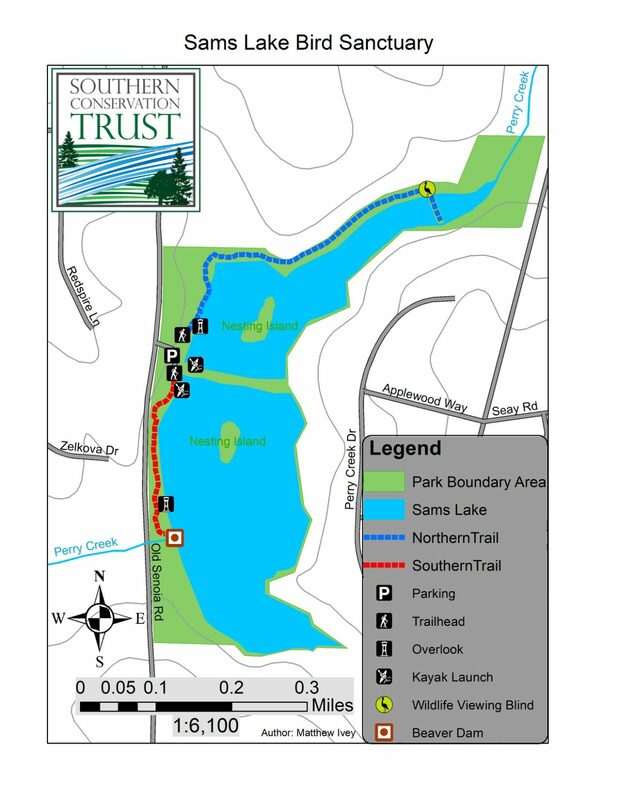 Trails along the wetland areas include two observation platforms overlooking open water and wetland habitat, a small boardwalk, a wildlife observation blind overlooking the northernmost wetland, and a picnic area on the southern lake. While enjoying your walk at Sams it is likely you will see numerous songbird species, great blue herons, great egrets, wood ducks, mallard ducks, turtles, canada geese, belted kingfishers, as well as the occasional muskrat or beaver! Remember, Sams Lake is an Audubon Certified Bird Sanctuary and pets are not allowed.